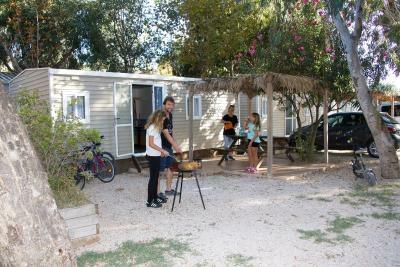 Lock in a great price for Camping Ampolla Playa – rated 8.7 by recent guests! Ideal place right next to the beach. The park itself was well kept and clean. 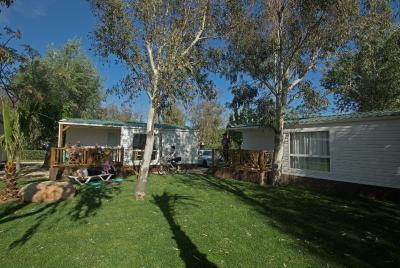 The Bungalows (mobile home) each having their own terrace with a picnic table and a BBQ. Arrival was very easy and a cheerful member of staff on reception. We lived in bungalow. Everything was great. 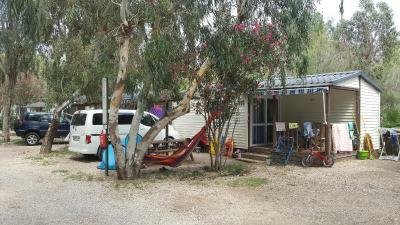 Very clean and comfortable accommodation. All needed utensils were in the kitchen. 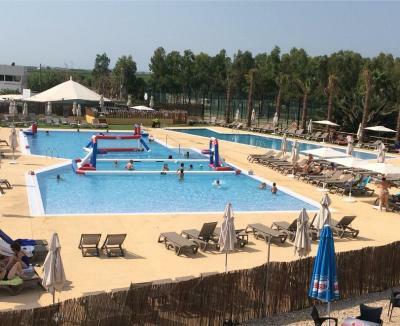 There are two big swimming pools inside the camping adapted for children and deep enough for adults. Kindly recommend them. Staff was very helpful and even allowed us to have late check-out for free (16-00 instead of 12-00). 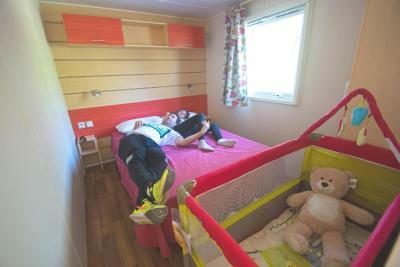 Facilities of the camping are great, it is nice, quiet, very clean! The swimming pool area is 5 star! Perfect place to relax with kids. The bungalow had it all! 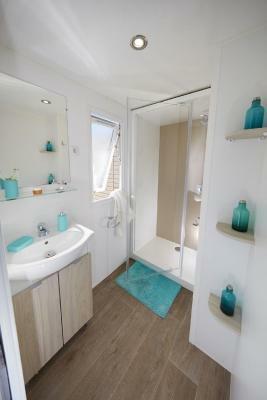 Small but cosy and super modern and clean!!! Very friendly and helpful staff. 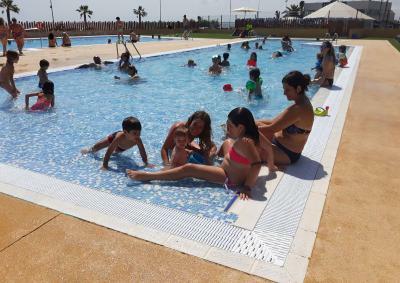 The two new swimming pools are great Chalet was nice and comfortable and had air conditioning. Good play area for kids (zip wire/swings/sea saw etc). Minimart on site for essentials but no English tea so take some tea bags!. Beach only 20 yards across the road and nice restaurants only a short walk away. Very friendly and helpful staff. Calm campsite with a very nice new playground. 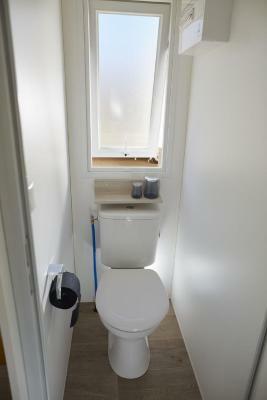 Houses have been comfortable and are newly equipped. The bar and restaurant was nice with the food being good quality and reasonably priced. 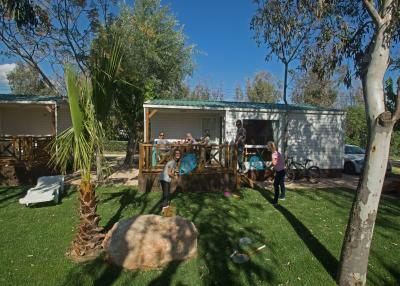 The staff throughout the site were friendly and helpful. 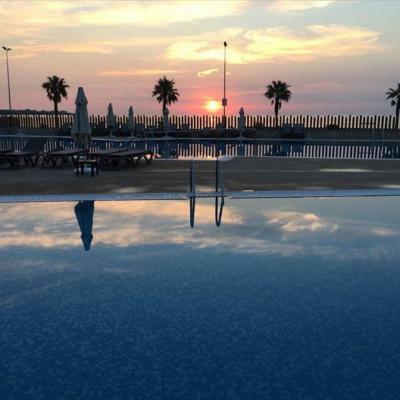 One of our top picks in L'Ampolla.Set on the beachfront of L’Ampolla Beach, this camping site is located on the edge of Delta De l’Ebre Nature Reserve. 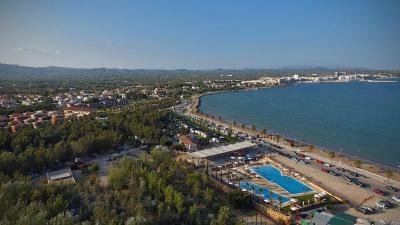 It offers a restaurant and sports facilities 0.9 mi from the town center. 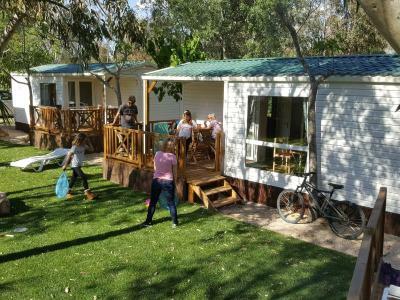 Camping Ampolla Playa is surrounded by nature and is set on extensive grounds, offering a children’s playground and other entertainment facilities like a ping-pong table and water sports. 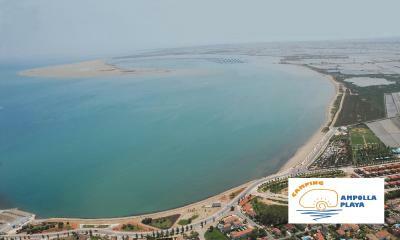 Nearby you can visit the Delta de l'Ebre Nature Reserve, with its range of flora and fauna. 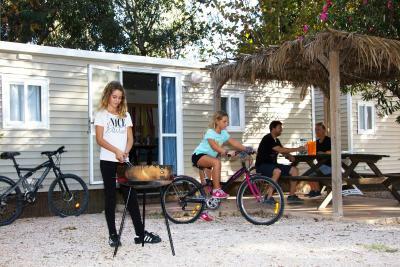 You can also go fishing and take part water sports such as windsurfing, kayaking and sailing. 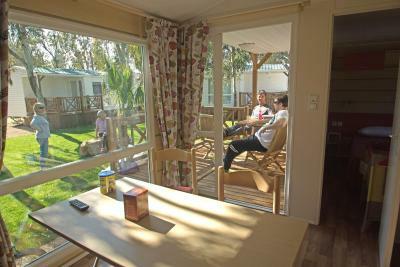 Bungalows at the Ampolla Playa have air conditioning and a kitchenette. There is also a small seating area with a TV and a roofed porch. 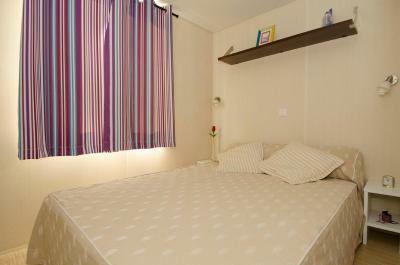 Bed linen and towels are provided at an extra cost. The fishing town of L’Ampolla can be easily reached taking the AP-7 motorway. Deltebre is 20 minutes’ drive, while Amposta is 11 mi away. 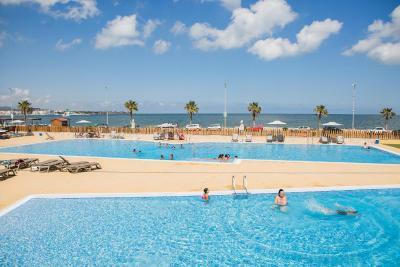 You can also drive to Tarragona and PortAventura Theme Park in around 30 minutes. This property is also rated for the best value in L'Ampolla! Guests are getting more for their money when compared to other properties in this city. 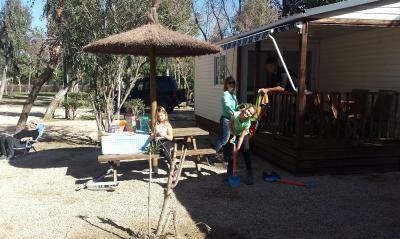 When would you like to stay at Camping Ampolla Playa? This air-conditioned bungalow features a roofed porch. 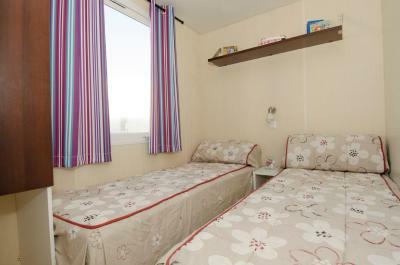 It comes with a twin bedroom, a double bedroom and free WiFi is offered. 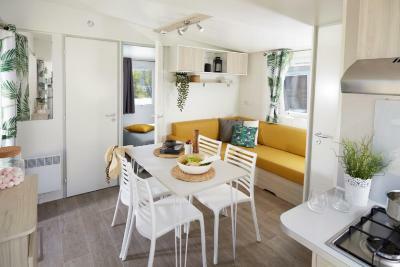 There is a dining area including a sofa and a fully-equipped kitchen with fridge and microwave. Pets are allowed. This air-conditioned bungalow features a roofed porch with seating. 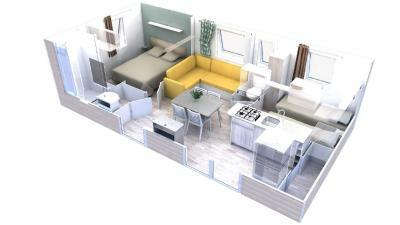 It comes with 1 twin bedroom, 1 single bedroom, a double bedroom and a seating area with a TV and a sofa. 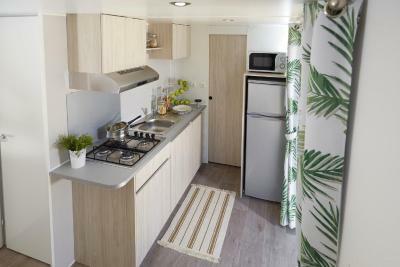 There is also a dining area, a well-equipped kitchen and a private bathroom with shower. This air-conditioned bungalow features a roofed porch. 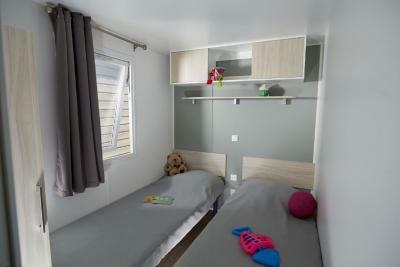 It comes with 2 twin bedrooms, a double bedroom and free WiFi is offered. 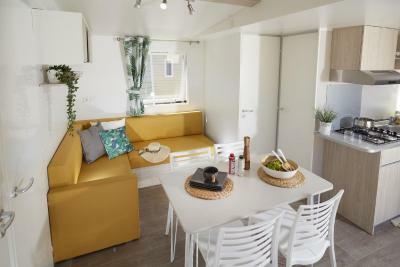 There is a dining area including a sofa and a fully-equipped kitchen with fridge and microwave. Pets are not allowed. 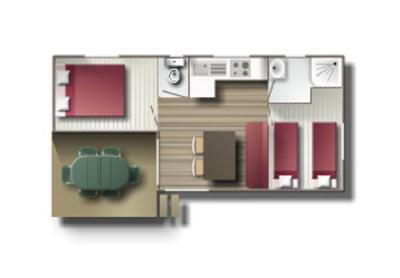 This air-conditioned and spacious bungalow features a roofed porch. 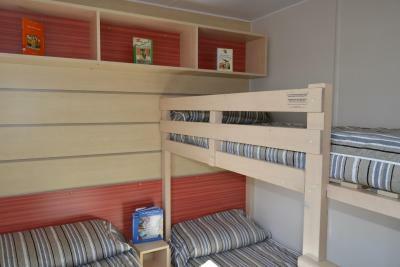 It comes with 2 twin bedrooms, a double bedroom and free WiFi is offered. 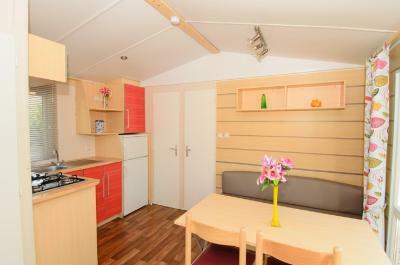 There is a dining area including a double sofa bed and a fully-equipped kitchen with fridge and microwave. Pets are not allowed. 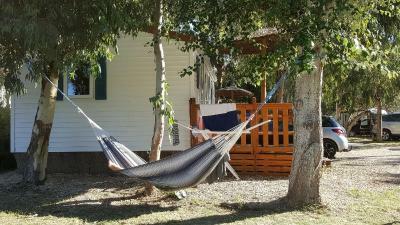 House Rules Camping Ampolla Playa takes special requests – add in the next step! 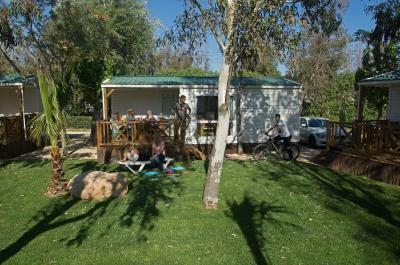 Camping Ampolla Playa accepts these cards and reserves the right to temporarily hold an amount prior to arrival. 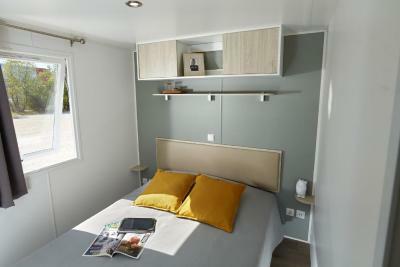 Please note that bed linen can be rented for EUR 5 per bed. A pack of 2 towels is also available for EUR 3. 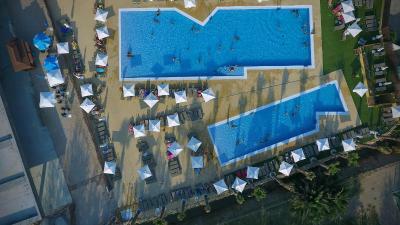 Please note the swimming pool is open from 12 April to 13 October, 2020. We bought our own food with us expecting a little oven in the kitchen. Unfortunately not and no kettle or can opener. It was a nice enough layout but such a tiny place. You had to open the bedroom door to be able to access the shower room. We also had a bad experience in the on-site restaurant the first night. My husbands Teriyaki chicken (just a bowl of chicken with no side) was raw. He only found out halfway through when he had to cut some bigger pieces. It was sent back to the kitchen (with some of my chips I'd given him). It came back 2 minutes later (minus my chips) and still raw! Which spoilt our first evening of our holiday. Finally the gas boiler seems very dangerous inside a small cupboard. The cupboard door gets very hot when it heats water and there was black soot on the boiler itself from the pilot light. Having to pay extra for bed linen and towels. 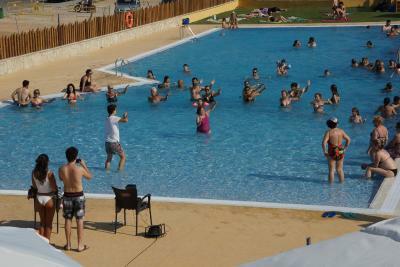 Really nice swimming pool and friendly staff. Minimarket at the territory has very limited assortment, but the nearest supermarket Spar in Ampolla (1,5km) is good, you can buy everything you need there. On Saturday night there was load music from a nightclub nearby which went on until 6am This may not be every Saturday, Need to check when booking before. Other than this the camping was perfect. Could have some animation for kids , mini disco, etc. The beach close by is not the greatest, but it is normal, due to its location. Maybe too many poolside rules (no inflatables, no food or drinks around pool area etc). There is a small bar/hut but you have to walk out of pool area to get to it. Making it part of the pool area would be ideal. The shower in the bungalow had a fused cold tap. 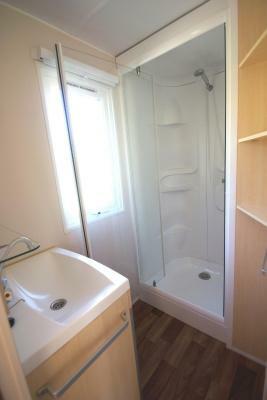 However the shower block on site was superb and was no bother to use. All perfect. Dena oso ondo. Just not the value and comfort we are used to.